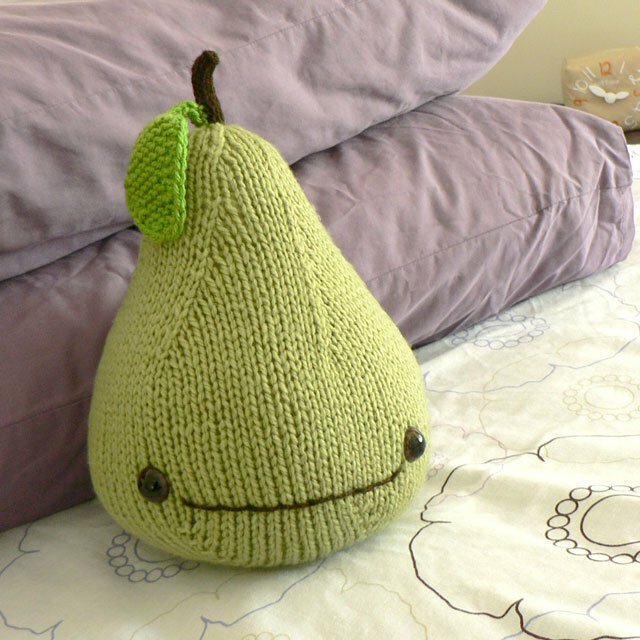 Suki twittered me and asked me to share any hints that I may have to embroider a face on crochet toys (also called amigurumi). I am more than happy to help, of course. Here is the way I do it and if your way is different to mine, please leave a comment and share your technique with us. 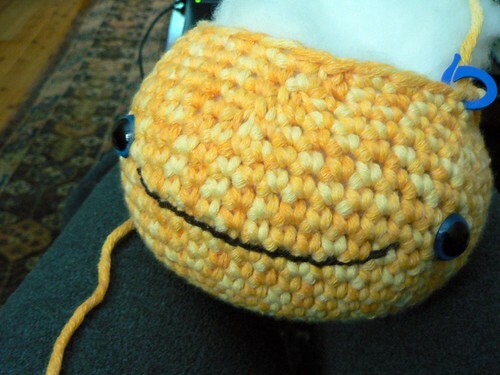 I use a scrap piece of yarn to guide me on how I want the smile to look like. You may also use a suitable marking pen or pencil to draw your smile onto the face as your guide. Thread yarn or floss through a sharp embroidery needle. 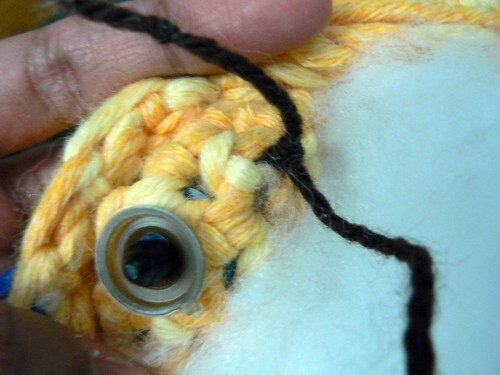 If like me, you are embroidering the mouth before finishing the stuffed toy, pull the needle through the starting point from the wrong side and leave a tail long enough to tie a knot with later. 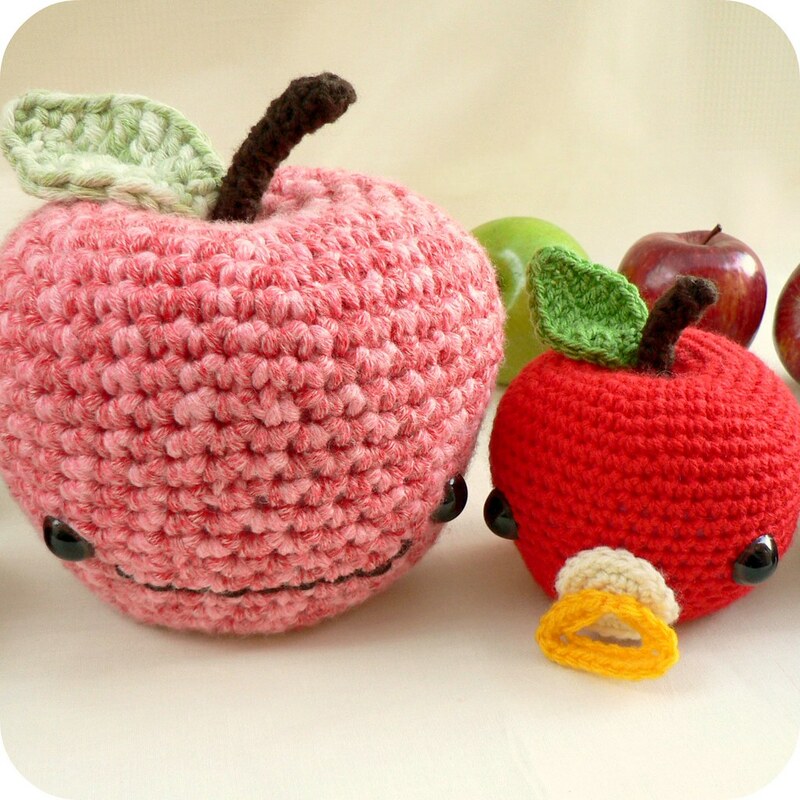 Alternatively, if you have already finished the amigurumi, do it the following way. Push the needle in from the back or bottom of the head, through the stuffing and to the starting point. Stop just as the tail disappears into the back or bottom of the head. The tail should sit securely among the stuffing. 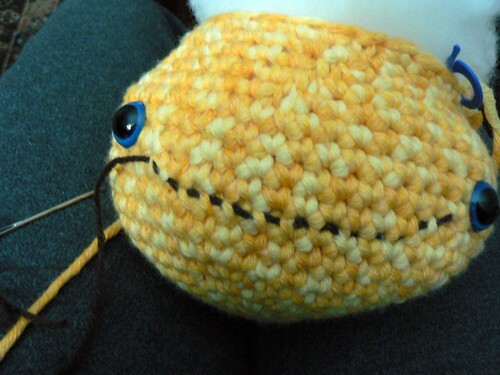 Sew a running stitch, using the scrap yarn smile as a guide (see step 1). 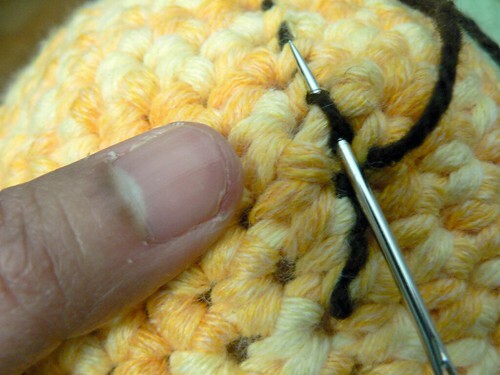 I try to weave the needle in and around the crochet stitches, instead of through them. Hopefully you can see in the two pictures below how the crochet stitches neatly fill the gaps between the running stitches. Now I work my way back to complete the smile. The trick I found is to sew a little bit in the start and end of each running stitch already sewn. This stops unsatisfactory gaps between stitches. Sew in this way back to the starting point. 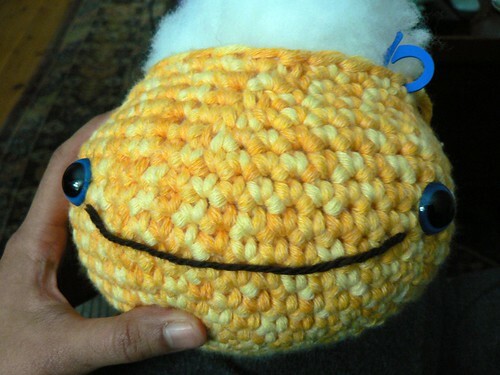 To finish off, tie a knot on the wrong side if you are embroidering the smile before finishing the toy. 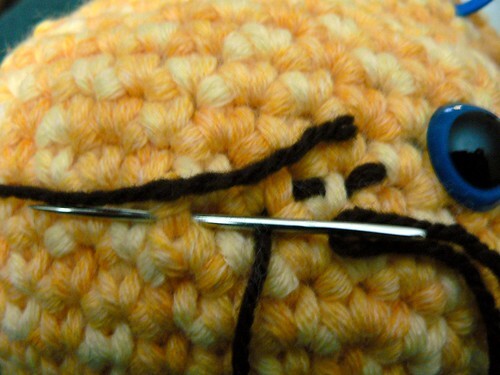 Otherwise, push your needle through the stuffing to the back or bottom of toy (reverse of how you started) and pull the yarn tightly. Snip the tail off just a little bit shorter so that the yarn disappears into the head. And you’re done! Clear as mud, eh? Reduce curling, straighten edges and make sewing up easier. Get rid of slight variations in length or width between two pieces that should match. 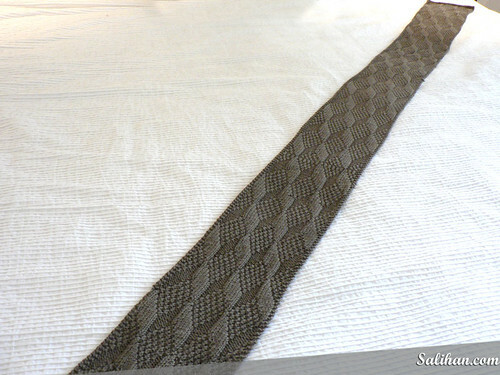 Open out a fabric, such as lace, to show off the patterning. Smooth the surface of the knitting and make the stitches more even. Adjust the shape of the finished garment or reshape it after washing. 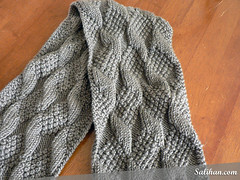 You can see how this is demonstrated in my before and after photos of the my Asherton Reversible scarf below. 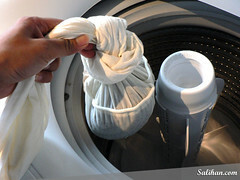 You’ll need wool detergent, a sink, washing machine, pillow case, a large flat surface like a bed and rust-proof pins. 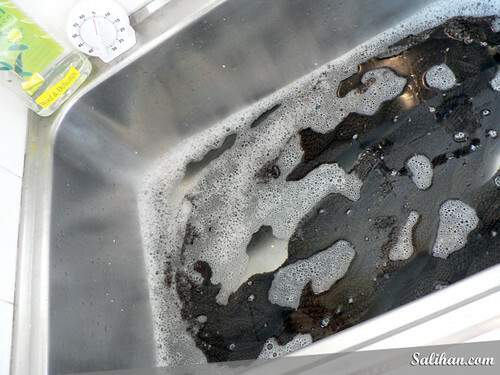 Fill tub or sink with warm water and add a little wool detergent. (Check the bottle label for exact measurement.) 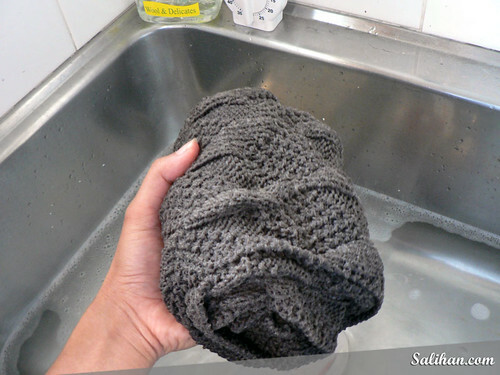 Soak scarf in warm soapy water for 5 minutes. 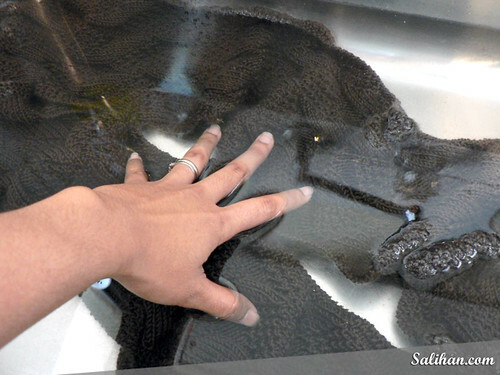 After 5 minutes, roll the scarf gently while still in the water and pick it up in your hand. Make sure to support it well. Place aside. Empty tub and refill with lukewarm water. Place scarf back into the water and unroll. Swoosh the scarf around lightly in the water. Get your pillowcase ready. Roll the scarf underwater and pick it up in your hands. Squeeze as much water out as possible. 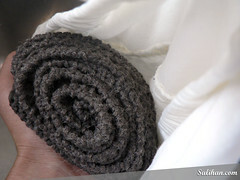 Place rolled-up scarf into a corner of the pillowcase (I use a bolster case). Tie a knot so that the scarf is squashed into the corner and will not move around. 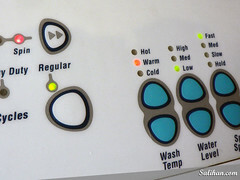 Set washing machine into spin cycle. Spin on fast speed. 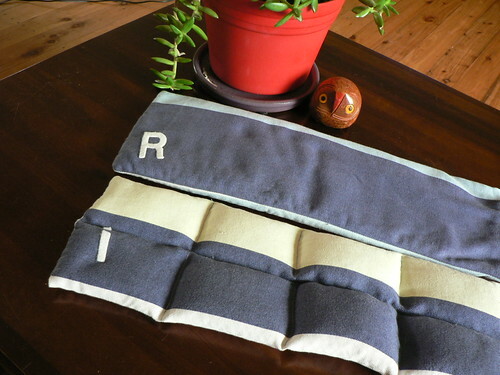 Carry the pillowcase to a large flat surface like a clean bed. Take the scarf out and unroll it onto the bed. 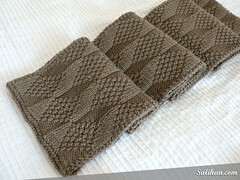 Carefully stretch the wet knitted scarf out onto the bed to about the width and length that you want. You may wish to stop at this point if you are satisfied with the way it looks and leave the scarf to dry completely. 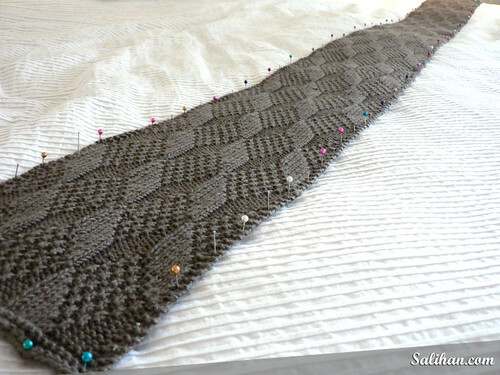 However, you may need to pin the knitted scarf in place to really show the pattern and get the right size. This is especially so in lace knitting. Using rust-proof or dressmakers’ pins, pin along the edges of the damp scarf. Use as many pins as needed to keep the edges straight and even. Dry the scarf completely before removing pins. You have successfully blocked a scarf! I decided to do things slightly differently from the regular Ellie, mainly because I didn’t have the right fabric to use and I thought I’ll challenge myself with this simple project. 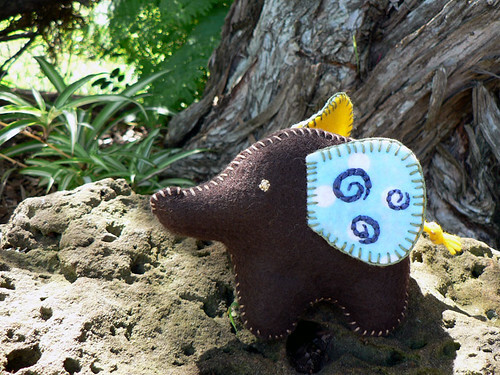 I decided to use felt and handsew the entire project. After two nights, Sky Ellie was born. 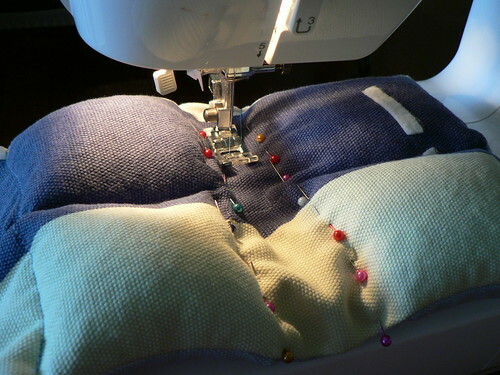 I used mostly blanket stitch to seam the pieces together and satin stitched the details. The instructions then told me to whip stitch the ear onto Ellie and I stopped in my tracks. I didn’t know what a whip stitch was! 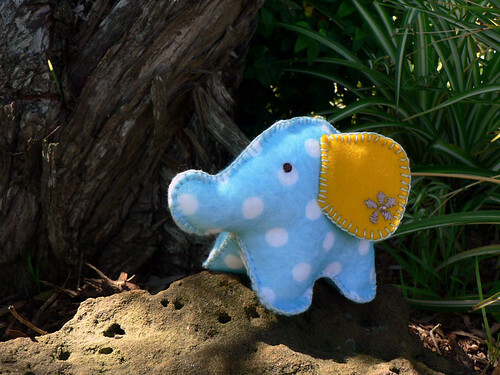 After a little hunting around the internet, I came across Futuregirl’s article on Choosing A Stitch for Handsewing. 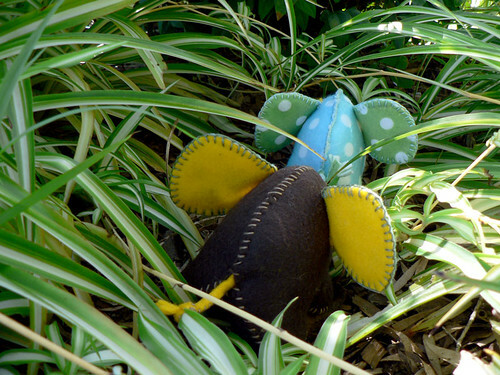 I then realised that I should have used whip stitch for seaming my softie instead of the blanket stitch! So I decided to make another Ellie using whip stitch to test Futuregirl’s theory. Blanket stitches on Sky gave a flat seam around the edges. Whip stitches on Earth made him much more rounded. 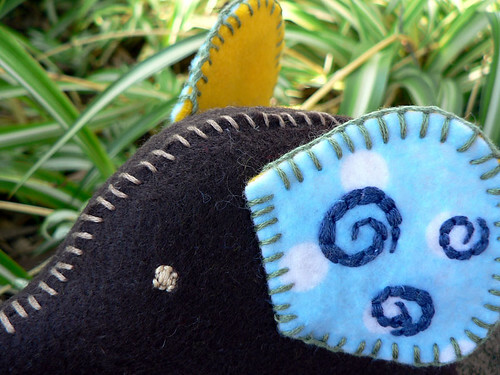 I highly recommend reading Futuregirl’s article before handsewing your next softie and she has tutorials on how to do both stitches in her blog too. 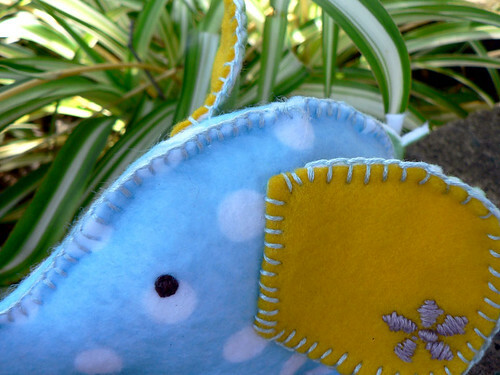 The two Ellies are nonetheless happy to be part of a very useful experiment so that all future softies are sewn just a little bit nicer. Now they live happily together, never to be alone again.